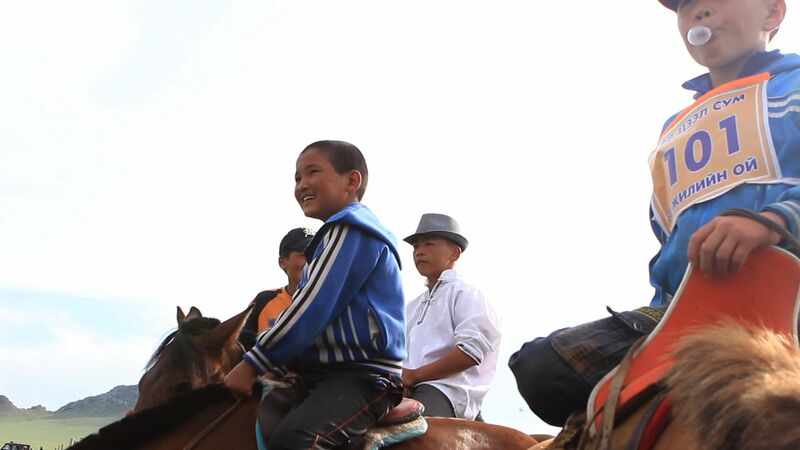 One of my favorite parts of the Naadam celebration in Uugtaal last week was the way the small jockeys (aged between 5 and 12 years old) would sing to their horses before each race. 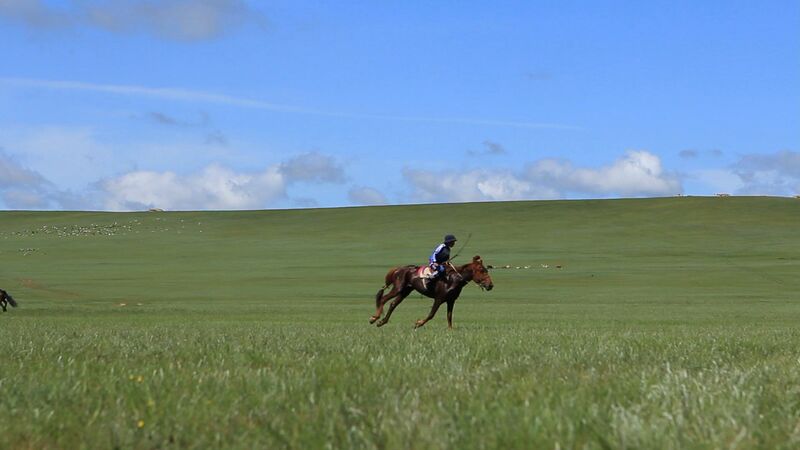 This particular Naadam had 6 races. Each race varied in length depending on the age of the horse. The shortest distance was about 6 miles, while the longest was 14. 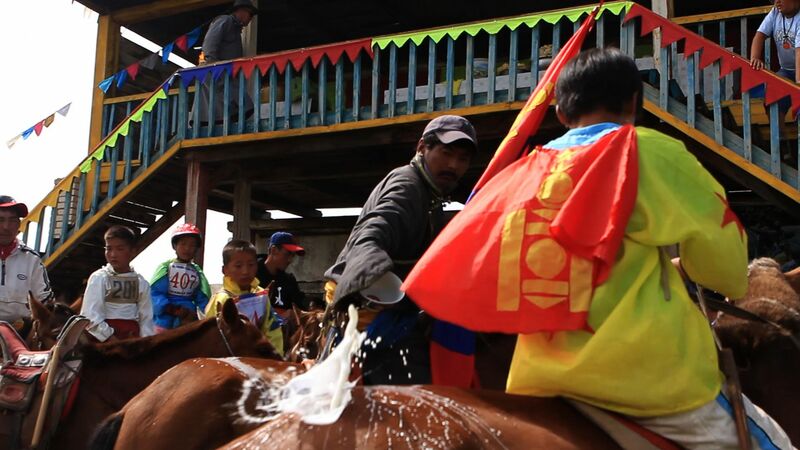 And so several times over the course of the two-day long event, a group of between 15 and 40 children would ride their horses into the main stadium singing the ‘Glingoo’. It’s a free-form kind of song that is meant to encourage the horses to run quickly. After riding around the inside edge of the arena, the riders would gather at the front where they would drink airag (fermented mare’s milk) and pour some on their horses’ heads and hind quarters. Singing once again, they would exit the stadium and trot toward the starting line. 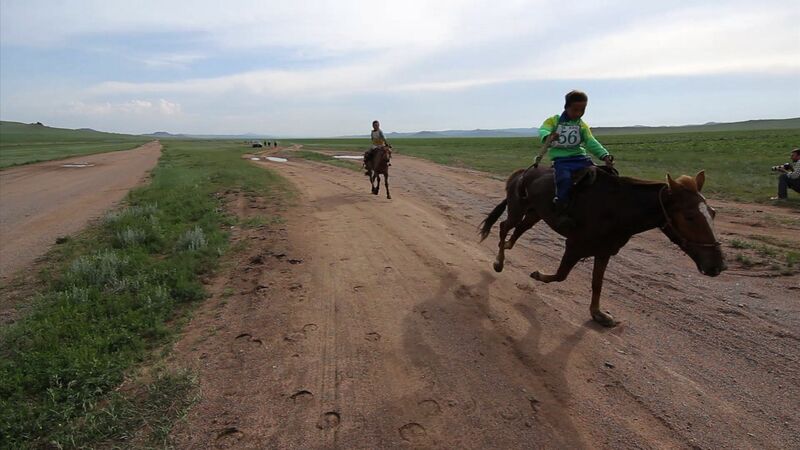 Horses are an essential part of Mongolian culture and the traditional lifestyle. They are veneered and used for everything from transportation to nourishment. But until I saw how the children interact with horses, I didn’t quite understand just how much a part of life they are. Dozens of young boys casually rode their horses around the grounds, showed off by doing tricks, squirted water guns at their friends and even shared ice cream cones. It was clear that if you were an 11 year old boy without a horse, you were just not cool. 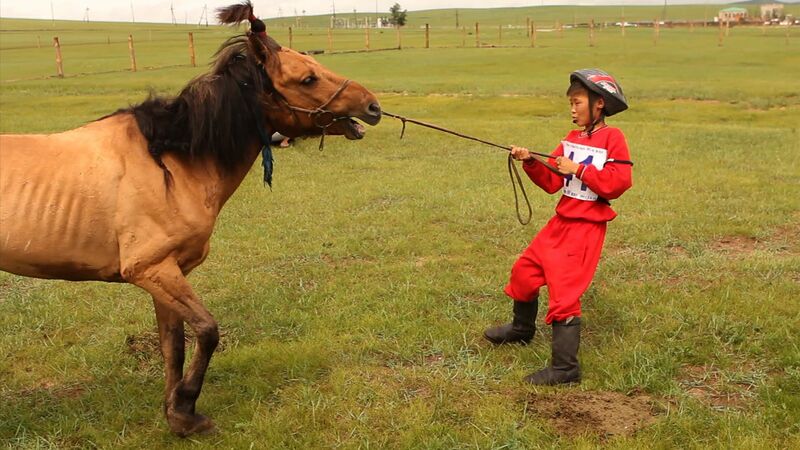 Read and Watch More about the Naadam events of Wrestling and Archery. These videos were produced in partnership with the Vanishing Cultures Project.